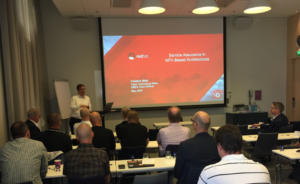 Compose IT takes the lead in NFV-based Service Assurance together with SevOne & Red Hat! Are Your company looking in to deliver new services that will be based on NFV-technology? We are sorry to say, but this will not make life easier, for any of You that might thought so, but very much the other way around. A NFV-plattform will insert another complex environment to operate and monitor! Compose IT are Service Assurance Specialists and we have now an offering based on SevOne´s pre-developed integration to Red Hat´s Open Stack Product Suite.